What is a WORKING CAT (also referred to as barn cat)? ACCT Philly’s Working Cat Adoption Program is an alternative placement program. It’s more than just barn cat placement! It matches cats who have behavioral challenges with non-traditional homes. 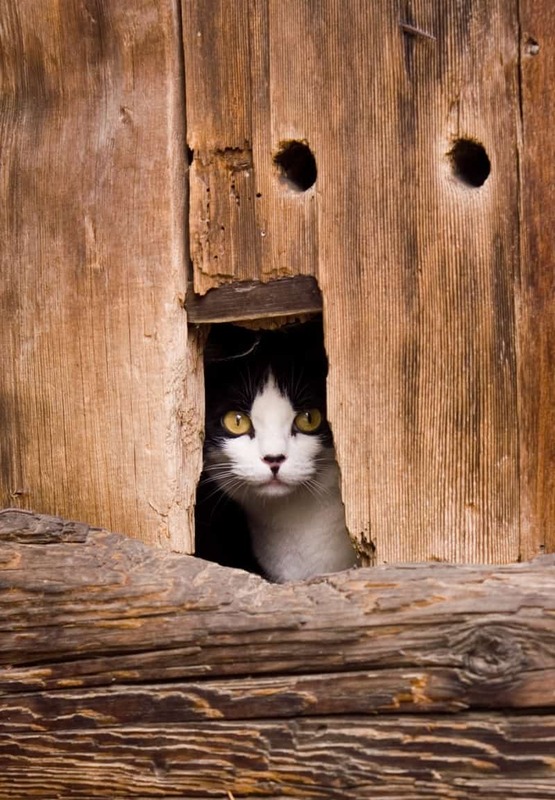 Sometimes these are semi-outdoor homes are on a property such as a working farm or barn building, but they can also be feed stores, plant nurseries, warehouses, factories, workshops, breweries, churches, artist studios, offices, and any other property suited for independent-minded cats. 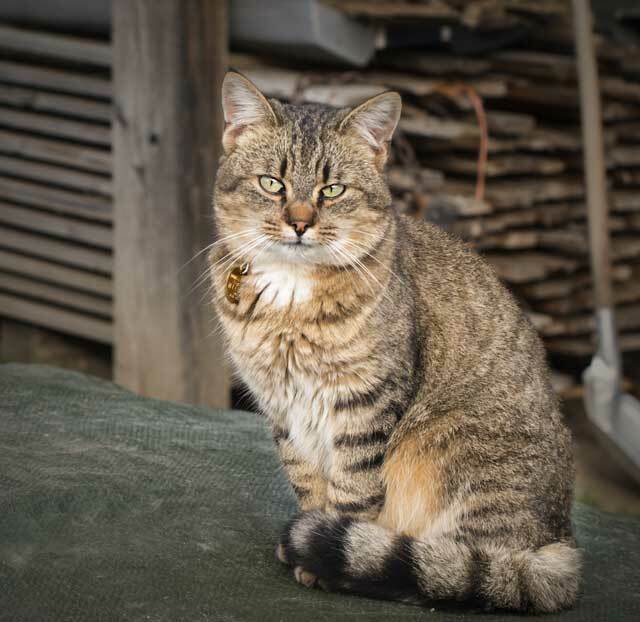 “Barn cat” usually refers to cats who live mostly outdoors and naturally help control the rodent population on a property. What is the PURPOSE of the working cat adoption program? The purpose of our program is to find live exits for shelter cats who are difficult or impossible to place as traditional indoor house pets, usually for reasons such as lack of socialization, extremely high energy, or litter box issues that are not health related. Some are formerly-outdoor, or indoor/outdoor cats that don’t have a home to return to and are not adjusting to indoor life. Finding placement for these cats is a challenge. In response to this problem, the ACCT Philly Lifesaving Department has developed a program that places these cats in safe and loving alternative homes. While not a typical adoption, the program gives them what they want and need; safe and sheltered forever homes with limited human interaction. How does an adopter CARE for working cats? To adopt a working cat means to commit to being the primary caregiver for the cat for the rest of its life, providing shelter, food, water and medical care. The cat will temporarily live in an extra large dog crate or enclosed space on the property for two weeks to acclimate to it’s new home before being allowed to roam free on the property. 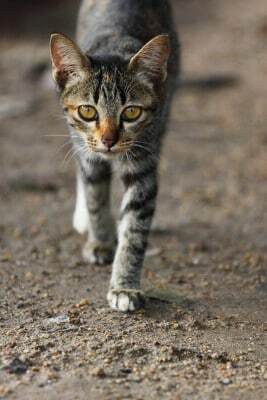 All working cats are vaccinated, spayed or neutered, and microchipped. They will need routine yearly vaccines, regular flea & tick preventative, and medical care as needed. What is the process to ADOPT working cats? To adopt a working cat you will need to fill out a Working Cat Adoption Questionnaire, provide proof of residency, and landlord contact information (if renting). Once approved, we will help you select the perfect cats for your property and answer any additional questions. It is helpful if you have a crate or space to acclimate the cats, but ACCT Philly can loan you a crate(s). You can pick up the cats or we can possibly help with transportation from the shelter and help set-up the cat in its new home! CONTACT us about working cats! If you have a barn or other safe area and are interested in saving an urgent cat at ACCT, please email the Lifesaving office at lifesaving@acctphilly.org or call 267.385.3800 ext. 500. The working cat candidates are located in foster care or at the main ACCT Philly shelter located at 111 W. Hunting Park Ave, Philadelphia, PA 19140. Visit our website: acctphilly.org/workingcats or visit the shelter during adoption hours: weekends and holidays, 10 a.m. – 5 p.m. and weekdays, 1 p.m. – 8 p.m. Please share this info with anyone you know that might need a working cat. We need your help to save lives.